Ecommerce sector in India has grown and is expected to continue further doubling the online sales in the subsequent four to five years. Many factors are articulately supporting the growth of eCommerce across the globe. Factors such as demanding schedules of working professionals, greater than before use of smartphones and improving internet access have to lead to the quick growth of E-commerce especially in a country like India. Launched by Infibeam, BuildaBazaar has served brands such as Airtel, Crossword, Hidesign, Spykar, V.I.P, Adlabs, Imagica and many others with their robust e-commerce platforms. It has earned trust in the different marketplaces and e-commerce domains with its reliable technology as well as strong business support. Based on the cloud-based technology, Software as a Service, BuildaBazaar is a prevalent as well as the most excellent e-commerce platform of the nation to build online stores both locally and globally, for both enterprises as well as the startups. BuildaBazaar’s platform is exceedingly easy to use as the merchants do not have to hire website designers or an expert programmer or hire any other technology professional to create an online store for their business. Additionally, they have an in-house technology, shipping, and logistics partner. By giving its clients a wide arrangement of courier alternatives to pick from, it assists its clients to fulfill their orders at the right time and without any issue. Another vital part of any e-commerce solution is its customer support system. With BuildaBazaar, you get the best customer services through multiple channels including easy reachability through the calls, emails, and with chat options, proving it to be an incredible choice for an e-commerce platform. We have listed down all the important reasons why BuildaBazaar is the most trusted e-commerce platform to initiate and grow your online store. BuildaBazaar offers role-based panel access which is made available to all those concerned for the better access and performance of your online store. 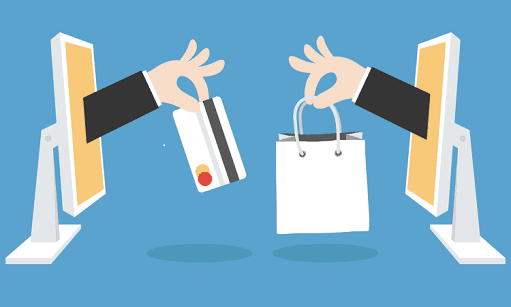 BuildaBazaar supports payment gateway integrations with numerous local and global players like PayPal, Billdesk, TechProcess, DirecPay, HDFC, CCAvenue and Axis. Fraud management feature auto enables and ensures that your orders are not generated as spam and made by authentic customers. Shopping Cart Rules enables you to send quick reminders to your customers through SMS and emails. Promotion Code Engine facilitates you to create discounts and by generating a quick promo code. It allows you to create invoices with GST at the prices making business management a lot effortless for you. It offers your e-commerce store with a direct access to ShipDroid, which enables you to have the provision to deliver to more than 25,000 PIN CODES across the country. It ensures that your e-commerce store has complete mobile responsive layout, the option to create Custom URLs, advanced search feature and integrate SSL certification for your web portal. If you have found this article constructive, leave a comment below and share your priceless opinion, we would love to hear from you.